I am a big fan of those lightweight drawstring bags and normally pack one away just in case I need to carry a little more than I intended. Of course they are only for short distances and fairly light loads but they have been invaluable. Their only achilles heal is that they are not that strong. However a recent trip to Decathlon proved to be most useful and I came away with one of these. The backpack is very small, only perhaps 10 litres in capacity and a very simple affair. 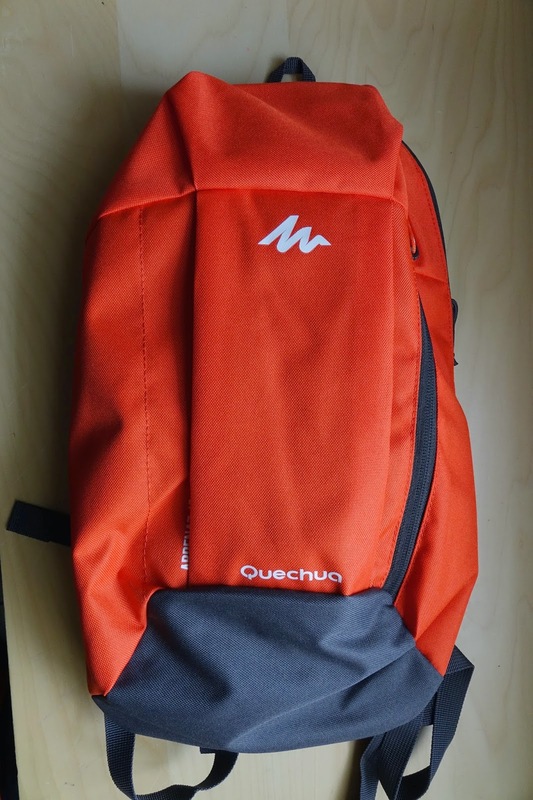 It is named the 'Aprenaz 10' by Quechua but I have to report it is nothing short of excellent! 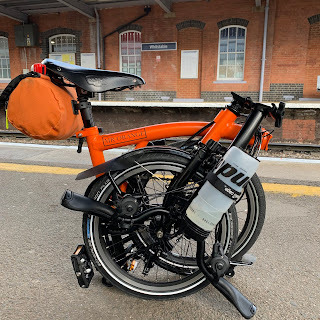 As long as you don't expect to carry huge loads it works really well as an emergency bag and the adjustable straps make it more comfortable on the bike than you would expect. 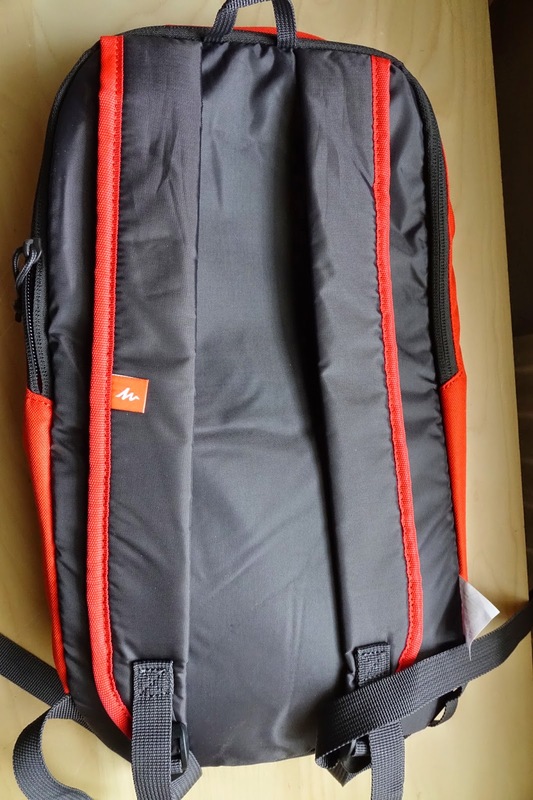 It has one zip opening to the main compartment and a second opening to a much smaller one at the front. On a recent commute I had used up all the space in my O bag and had to carry my iPad, leads, iPhone, lunch and a water bottle. I did so quite conformably. I very much doubt if there is any waterproofing, but last week it did rain lightly on one of my commutes to work and I'd say that it could withstand a light shower for a limited amount of time. Okay, I can almost hear you asking, how much does it cost? Well incredibly, £2.49! I really do not know how they do it for this price but it really is a bit of a bargain. I suspect that with the Dunwich Dynamo looming in the not to distant, thoughts will turn to what I will take with me. Not being a fan of those hydration backpacks and preferring bottles, I can see me packing an extra bottle in this very bag. For £2.49 you really cannot go wrong and the fact it can be rolled up into quite a compact package, weighing next to nothing is the icing on the proverbial cake. I like my little 22l Orange Trespass rucksack, very handy for birdwatching trips by bike, or a spot of trail running...especially if dropping in on the shops on the way back! I wonder if this is the same one as advertised as red and grey on their website? I wonder if this is the one they have as red/grey on their website?? Water Resistant Brooks Saddle Cover - in Orange!